This post originally appeared as a contribution to The Today Show Parenting Team in September 2018. “Be prepared to say goodbye to your children at the bottom of the stairs. Whether she meant it was easier for the parents or the child, I am still not quite sure. But on that hot September day, my oldest made her first big steps of independence, up those stairs, and away from me. 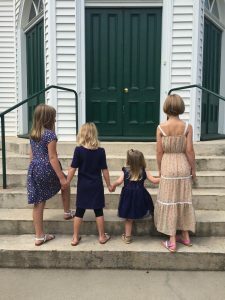 It was a bold move that would repeat every two years without fail, as each of our little girls joined their predecessor inside the safe and secure walls of their preschool. This hallowed space allowed each of them to form a life for themselves outside of our home. And while it might be on a lesser scale than all that lies ahead, it was the first big step on the road to the person they will become. This sweet school, set directly in the middle of Main Street in our small town, was full of firsts for parents as well. There was a new set of friends waiting for children and adults, as well as a new partnership with the teachers who would come to influence and treasure each of our girls. Within this space, I first heard words of encouragement, and also the feedback that one daughter was struggling. This startling news was met initially with fear, but was followed by immense support. And now, seven years after our first daughter made her way up those preschool stairs, we prepare to send our youngest daughter up the same flight, right on her own unique road to independence. I have looked forward to this day since I first imagined the intoxicating freedom that my own independence from my children promised. At the end of a long summer, a weight is lifted when we have made it through, and the girls are starting another year toward the person they are going to be. Countless friends have asked, “What are you going to do with all your free time, now that everyone is in school?” This always makes me chuckle, as I am more than positive that I can fill six childfree hours each week without a problem. But I think what this time represents is a more burning question from the heart: Where does this leave me? Though I have sent three children off to school before, this will be the first time that I do not have any small ones waiting for me at home. There is no shadow to follow me throughout the house, no companion in the grocery store, no one to drop with a babysitter while I run in to work for a meeting. For the first time in my nine years of parenting, all four of my children will be accounted for in a space that is separate from me. For the first time, I feel free, but with hesitation. As parents, are we ever truly free? The mental energy never ceases, whether there are work, household, marriage, or extended family obligations, our minds are always moving. The passage up the cement stairs into preschool only signifies the first steps she takes away from my constant watchful eye, away from my solitary guidance, and toward thriving in the world as her own independent spirit. But the distance from me is only physical, as she will never leave my heart. The more I pounder my evolving role as my children grow, the clearer it becomes. With each passing season, though my physical investment may be less, my emotional presence only increases. The tears I expected are replaced by joy and peace as my girls make their way. In times of growth, I know exactly where this freedom leaves me. Freedom leaves me ready to welcome them back. Most immediately, this is at the bottom of the preschool stairs, greeting a bouncing two year old as she meets this milestone. 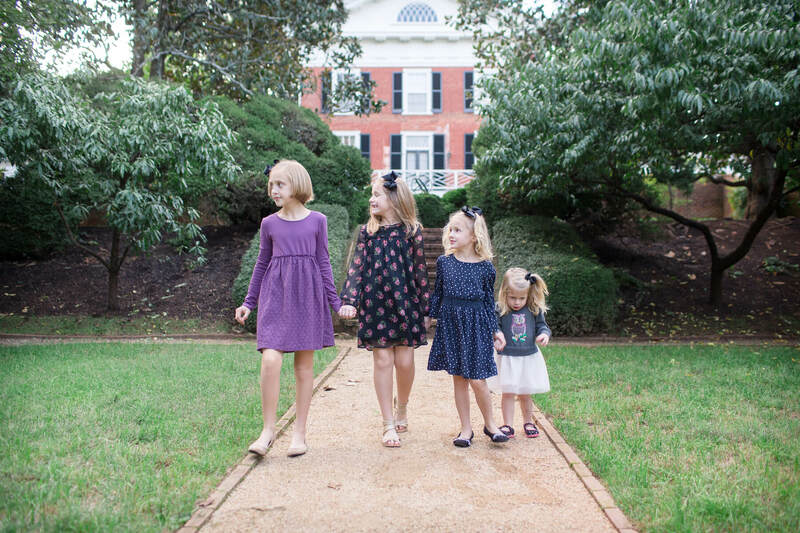 In the years to come, I will be welcoming my girls back at the bus stop down the street, on the front porch as they drive home, or in a waiting room to meet my grandchild. The greatest gift I have been given is the opportunity to love and nurture these girls into the women they will become.